This sketch is interesting because what it shows can vary depending on the cultural background of the observer. 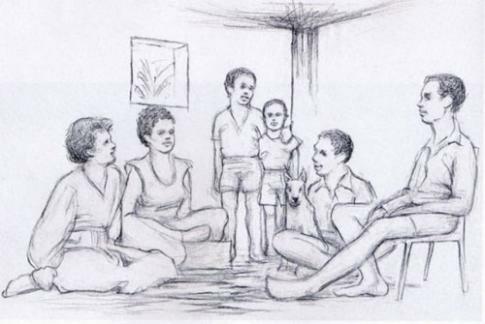 To those in the west who are used to being indoors this picture can appear to show a family sitting in the corner of a room with a window through which vegetation can be seen outside. Show the same image to someone in Africa however and the perception changes, the rectangular room corner looks like a tree and the window appears as an object being balanced on the woman's head. 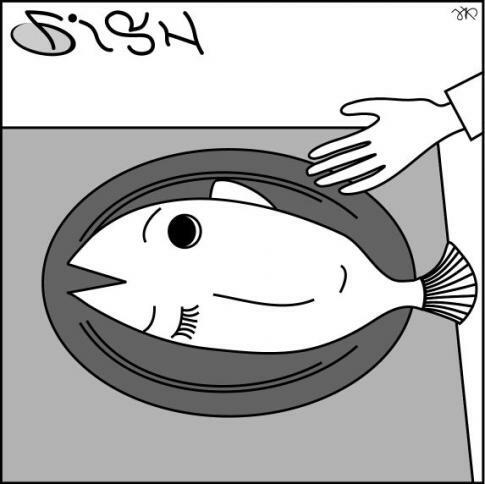 Another double meaning illusion, does this picture show a plate with a fish on it or does it show a girl's face ? 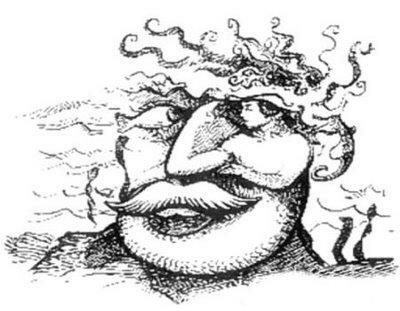 A classic double meaning illusion, is this a drawing of a man with a moustache or is it a mermaid at the bottom of the ocean ? 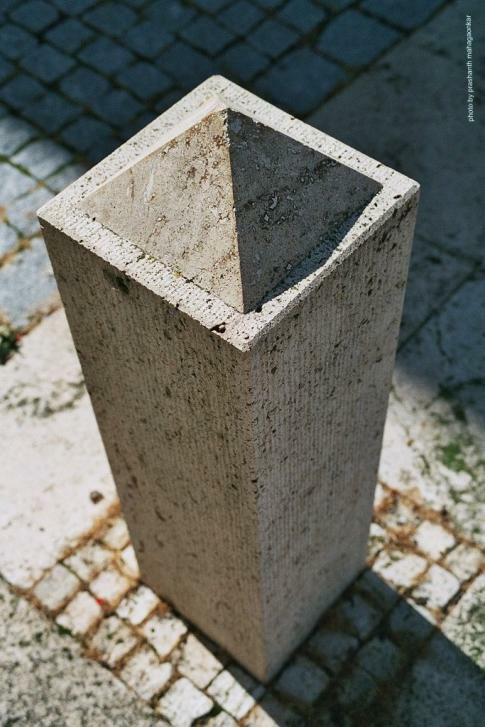 This photograph taken in Bad Langensalza, Germany shows one of many pillars placed around a fountain. The illusion here is that the pillar can either appear to be hollow or to have a pyramid on the top depending on which way you look at it. The shadow on the right gives it away slightly but its still quite convincing. 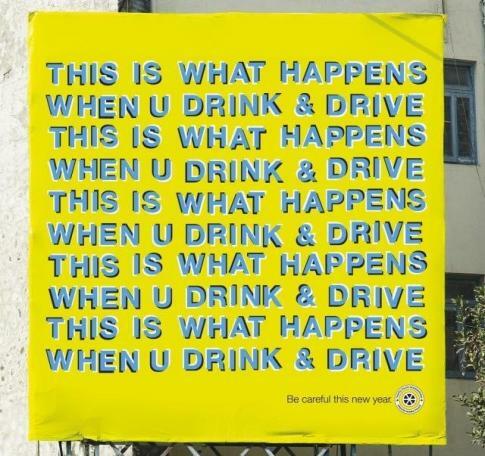 This sign post designed to stop people from drink driving is a unique take on the "waves" illusion, if you look closely you'll see the words on the sign moving in a wave-like fashion to simulate how you might perceive things when intoxicated.